Lemon essential oil is affectionately referred to as Liquid Sunshine, in part because of its bright yellow coloring and in part because of its purifying and energy boosting properties. The oil is collected by a cold pressing the rinds of the lemons. Lemon trees are found around the globe, but this Vitamin C rich fruit was originally native to Asia before Christopher Columbus brought these trees with him on his explorations to America. During the Middle Ages, the Romans and Egyptians used lemons and lemon oil for medical treatments and personal hygiene. Lemon essential oil possesses beneficial anti-inflammatory, antiseptic, antibacterial, anti-fungal, anti-infection, insect repellent, disinfectant, astringent, internal immune protection and cleansing, and mood enhancing properties. Isagenix Lemon Essential Oil is safe for internal, topical, and aromatic applications when used in accordance with manufacturer’s recommendations. Isagenix Lemon Essential Oil has a multitude of ways to assist with personal health care, environmental wellness, and household disinfectants. Topical use of Isagenix Lemon Essential Oil can help with: skin care, elimination of dandruff, enhance hair and nail care, treat athlete’s feet, corns, and warts, soften calluses, diminish acne, exfoliate facial pores, reduce excessive skin oil, clear nasal passages, open sinus cavities, and relieve headaches. Aromatic use of Isagenix Lemon Essential Oil: eliminates odors, improves mental clarity, repels insects, reduces stress, fatigue, anxiety, and exhaustion, and relaxes muscle strains. 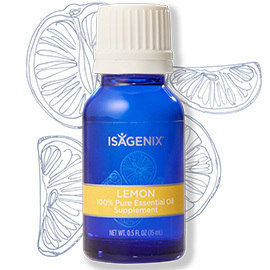 Internal use of Isagenix Lemon Essential Oil: reduces heartburn, indigestion, cramps, and stomach aches, supports internal cleansing of liver and intestinal functions, helps prevent the formation of kidney stones, stimulates white blood cells, improves the immune system, reduces bacterial infections, and relieves symptoms associated with coughs, colds, and flus. PRECAUTIONS: Prior to the first application of Isagenix Lemon Essential Oil, test for possible skin sensitivity by applying oil to a small patch of skin prior to use on large skin areas. Lemon oil is phototoxic and can cause skin sensitivity from direct sunlight within 12 hours of applying topically to exposed skin areas. Use a sunscreen if going outdoors within 12 hours of applying Lemon Essential Oil. Keep out of reach of pets, small children, and infants. If taking medications, if pregnant, or if nursing, always consult with your primary medical professional prior to any health care changes. Avoid eye contact with any pure strength essential oil. How Do I Buy the Isagenix Oil Lemon? 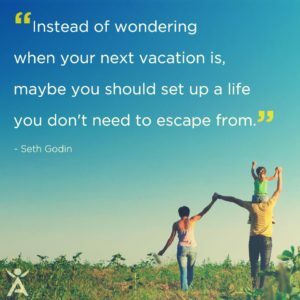 RECOMMENDED: Sign up and Save (CA$11.99 Signup) — Sign up to the Isagenix autoship program to become eligible to have access to the cheapest wholesale prices. At the end of the checkout process you’ll be asked to set up your next month’s order. Autoship can be cancelled at any time, even after you take advantage of the cheaper prices on your first order! There are no locked in contracts of any sort. Plus, this gives you the opportunity to participate in the Isagenix business (this is 100% optional). Full Retail (CA$15.99) — If you prefer not to sign up and take advantage of the lower pricing, you can purchase the products at full retail price. This is not recommended as you can cancel autoship at any time.